Swahili trading communities, occupied between the 11th and 16th centuries CE, were a pivotal part of an extensive trade network connecting the eastern African coast to the Arabia, India, and China. The largest Swahili culture stonehouse communities, so named for their distinctive stone and coral structures, are all within 20 km (12 mi) of the eastern coast of Africa. The majority of the population involved in the Swahili culture, however, lived in communities that were made up of houses of earth and thatch. The entire population continued an indigenous Bantu fishing and agricultural lifestyle, but were undeniably altered by outside influences brought about the international trade networks. Islamic culture and religion provided the underlying basis for the construction of many of the later towns and buildings in the Swahili culture. The focal point of Swahili culture communities were the mosques. Mosques were typically among the most elaborate and permanent structures within a community. One feature common to Swahili mosques is an architectural niche holding imported bowls, a concrete display of the power and authority of local leaders. Swahili towns were surrounded by walls of stone and/or wooden palisades, most of which date to the 15th century. Town walls may have held a defensive function, although many also served to deter coastal zone erosion, or simply to keep cattle from roaming. Causeways and coral jetties were built at Kilwa and Songo Mnara, used between the 13th and 16th centuries to facilitate the access to ships. 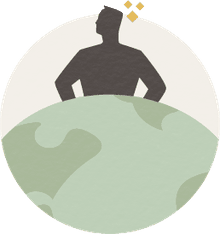 By the 13th century, the towns of the Swahili culture were complex social entities with a literate Muslim populations and a defined leadership, linked to a wide-reaching network of international trade. Archaeologist Stephanie Wynne-Jones has argued that the Swahili people defined themselves as a network of nested identities, combining indigenous Bantu, Persian, and Arabic cultures into a unique, cosmopolitan cultural form. The earliest (and later non-elite) houses at Swahili sites, perhaps as early as the 6th century CE, were earth-and-thatch (or wattle-and-daub) structures; the earliest settlements were built entirely of earth and thatch. Because they are not easily visible archaeologically, and because there were large stone built structures to investigated, these communities were not fully recognized by archaeologists until the 21st century. Recent investigations have shown that settlements were quite dense across the region and that earth and thatch houses would have been a part of even the grandest stonetowns. Later houses and other structures were built of coral or stone and sometimes had a second story. Archaeologists working along the Swahili coast call these stonehouses whether they were residential in function or not. Communities which had stonehouses are referred to as stonehouse towns or stonetowns. A house built of stone was a structure that was both a symbol of stability and a representation of the seat of trade. All-important trade negotiations took place in the front rooms of these stonehouses; and traveling international merchants could find a place to stay. The Swahili traders began building in stone and coral shortly after 1000 CE, expanding existing settlements like Shanga and Kilwa with new stone mosques and tombs. New settlements along the length of the coast were founded with stone architecture, particularly used for religious structures. Domestic stonehouses were slightly later, but became an important part of Swahili urban spaces along the coast. Stonehouses often are nearby open spaces formed by walled courtyards or compounds with other buildings. Courtyards could be simple and open plazas, or stepped and sunken, like at Gede in Kenya, Tumbatu on Zanzibar or at Songo Mnara, Tanzania. Some of the courtyards were used as meeting places, but others may have been used to keep cattle or grow high value crops in gardens. After about 1300 CE, many residential structures in the larger Swahili towns were built of coral stones and lime mortar and roofed with mangrove poles and palm leaves. Stonemasons cut porites coral from living reefs and dressed, decorated, and inscribed them while still fresh. This dressed stone was used as a decorative feature, and sometimes ornately carved, on door and window frames and for architectural niches. This technology is seen elsewhere in the Western Ocean, such as Gujarat, but was an early indigenous development on the African Coast. Some coral buildings had as many as four stories. Some larger houses and mosques were made with moulded roofs and had decorative arches, domes and vaults. Fleisher J. 2010. Rituals of Consumption and the Politics of Feasting on the Eastern African Coast, AD 700–1500. Journal of World Prehistory 23(4):195-217. Fleisher J, and Wynne-Jones S. 2011. Ceramics and the Early Swahili: Deconstructing the Early Tana Tradition. African Archaeological Review 28(4):245-278. Wynne-Jones S. 2013. 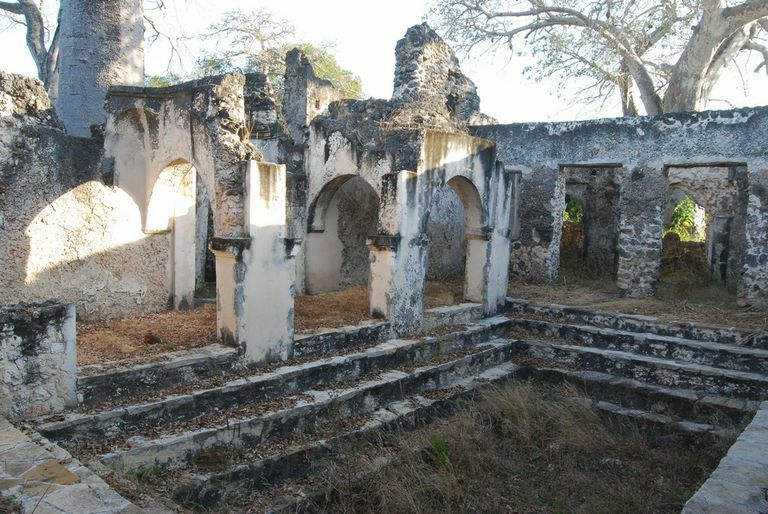 The public life of the Swahili stonehouse, 14th–15th centuries AD. Journal of Anthropological Archaeology 32(4):759-773. Pit Houses: What Societies Built Their Homes Partly Underground?